With Sarah Walker. Including Five Reasons to Love Transcriptions; Musical challenge; Artist of the Week: Valery Gergiev, featured conducting Mahler's Symphony No 4 in G.
A selection of music including '5 reasons to love... transcriptions'. Throughout the week Sarah explores the transformative effect of seeing one composer's work through the eyes of another, showcasing transcriptions including Bach by Busoni, Schubert by Liszt and Strauss II by Schoenberg. 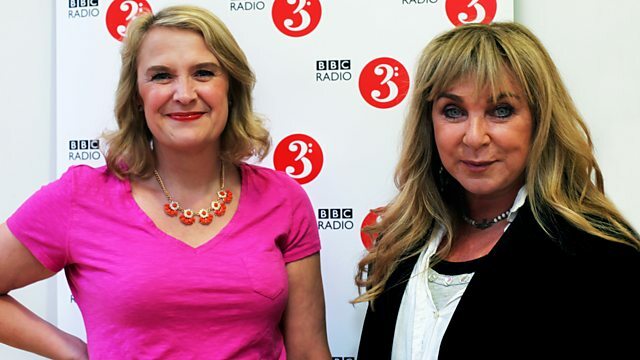 Sarah's guest this week is the comedian, actress and writer Helen Lederer. Helen is a familiar face on the British comedy scene and is well known for her stand-up shows as well as for her role as Catriona in the sitcom Absolutely Fabulous. She recently released her first novel, Losing It, which has been shortlisted for the Edinburgh First Book Award. Helen will be sharing a selection of her favourite classical music every day at 10am. During the BBC Proms 2015, Sarah takes a look at the Proms season from a century ago and plays music that reflects a time when concert programmes were quite different from those of today. This week's line-up includes the French national anthem and two works so popular that they appeared more than once in the season: Mendelssohn's overture Ruy Blas and Rachmaninov's Piano Concerto No 2. Sarah's artist of the week - in the week of his BBC Proms appearance - is the boundlessly energetic Valery Gergiev, Principal Conductor of the London Symphony Orchestra and Music Director of the Mariinsky Theatre in St Petersburg. Throughout the week Sarah will be sharing recordings of his interpretations of works by composers including Berlioz, Mahler and Tchaikovsky. Performer: Maurice Steger. Performer: Xenia Löffler. Performer: Michele Fattori. Performer: Diego Fasolis. Ensemble: I Barocchisti. Director: Diego Fasolis. Choir: Choir of Clare College, Cambridge. Director: Graham Ross. Orchestra: Royal Concertgebouw Orchestra. Conductor: Colin Davis. Performer: Eugene Asti. Singer: Richard Edgar-Wilson. Ensemble: The Angeles String Quartet.